Last week, the secretary of Health and Human Services (HHS) issued a final rule(www.gpo.gov) designating Oct. 1, 2015, as the new compliance date for health care providers, health plans, and health care clearinghouses to transition to ICD-10. That means that you and your practice have another year to prepare, and the Centers for Medicare & Medicaid Services (CMS) seems committed to doing what it can to help. CMS has implemented a comprehensive testing approach, including end-to-end testing in 2015, to help ensure providers are ready. Also, CMS has an extensive array of ICD-10 resources(www.cms.gov) on its web site, including the Road to 10(www.roadto10.org), a free online tool that enables small provider practices to create an ICD-10 action plan and jumpstart their transition. The AAFP also has ICD-10 resources on its web site, including a timeline to assist physicians in preparing the transition to ICD-10 and a tool to calculate how much it will cost to implement ICD-10 in your practice. 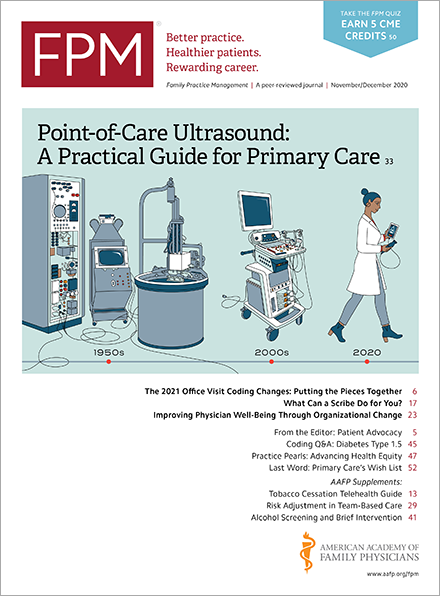 Not to be outdone, Family Practice Management has amassed a collection of articles on the topic. Whether you seek resources from CMS, AAFP, FPM, or someone else, it is not too late and certainly not too early to get started in the transition process.